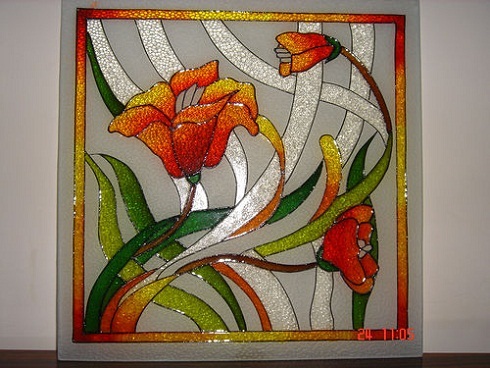 Last time, I was browsing the web and saw some beautiful glass painting designs. I never thought I’ll be hooked in this stuff since I am not an artsy person. But upon browsing more, I saw even more patterns and designs of glass painting that really capture my picky eyes (yeah picky, LOL). 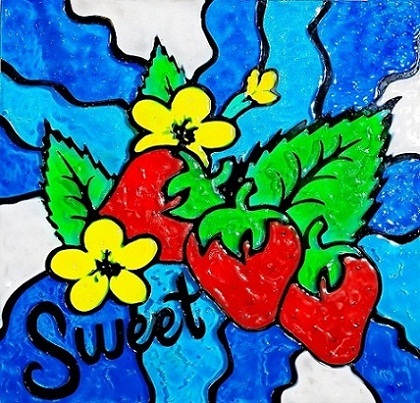 I was amazed how those artists put their heart into their artwork and express themselves through glass and paint. I even wondered if I can make some too, even those simple ones. Some of you may probably have seen a lot of different glass art designs with intricate patterns, involving complicated designs and colors. At first, my tendency was to back off and push the idea of painting my very first art on a glass. But there’s no need to fret actually. 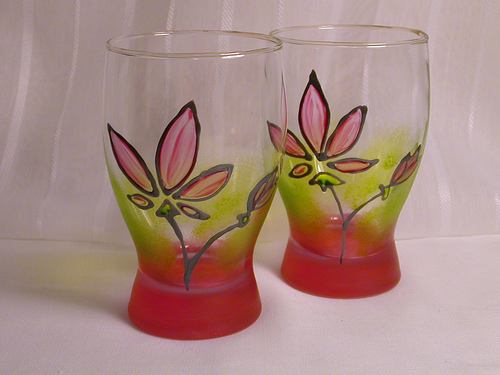 There are simple designs and patterns of glass painting that a beginner, with not-so-much experience, can try. Even kids can start explore their creativity with these. Above image is one great example. You see? With such simple design here, some few lines there and combination of colors, it create a wonderful design in a wine glass. It doesn’t just about the complexity of the design, it’s about putting your heart on it. This one may look a little bit complicated for you. Well, I honestly find it difficult. But the secret here is the use of the right patter for the glass painting. And of course, the use of the right paint color. How about this one? This sure looks fit for every beginner. 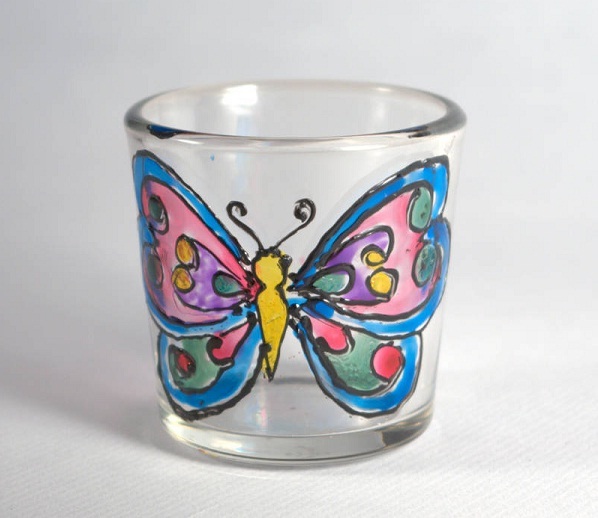 I love butterfly and I’d love to have one on my cup or bottle or transparent flower vase. 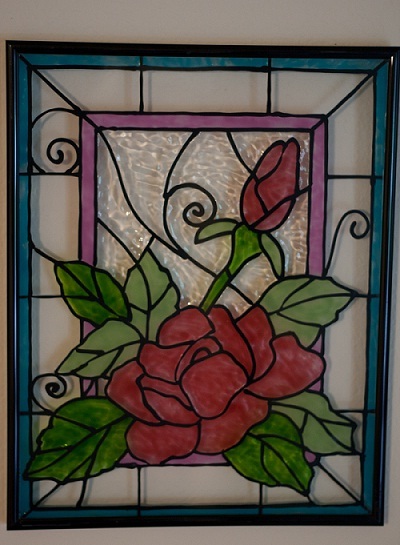 If you’re into floral design, but want to keep it simple, the above picture may give you some idea to start off to your glass painting adventure. See how the artist combine a few paint colors and create a magnificent design of flower in its full bloom. I love the fuchsia pink color! I’d love to have this art on my room. It will surely inspire me as I write. 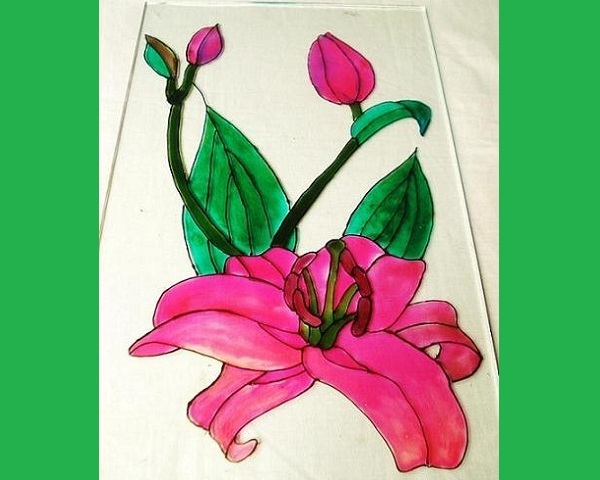 How about a floral glass painting on your window or door? This one will surely fit. You can express your creativity and love for nature while keeping your design easy and simple. Everyone can start with these design and will surely get a satisfactory result. Well, I’m not sure with me, since I am not very patient. 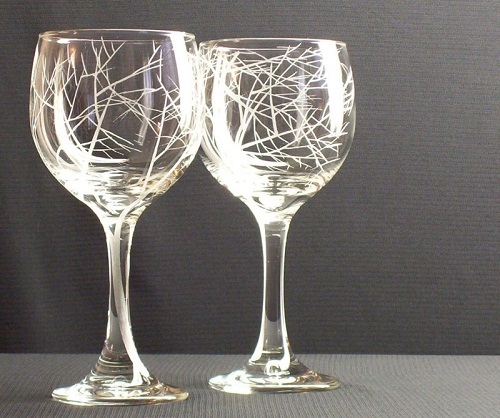 But I’m sure with some practice and more patience, you will surely get the design you want for your glass art. And speaking of flowers, who wants to have some on their stuff? 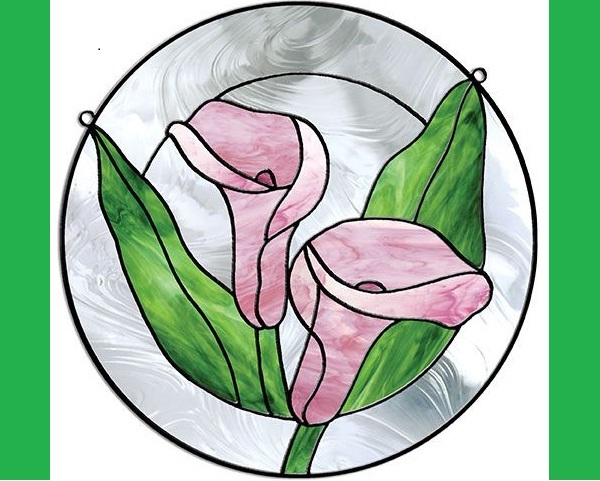 Continue reading and explore these floral glass painting designs. I think flowers are one of the most common designs for every art, especially on painting. While most people may go for abstract designs, people (like me) may start with flower designs. One of the good advantage of using flower as your basic design is that it doesn’t contain much intricate patterns and color combination. 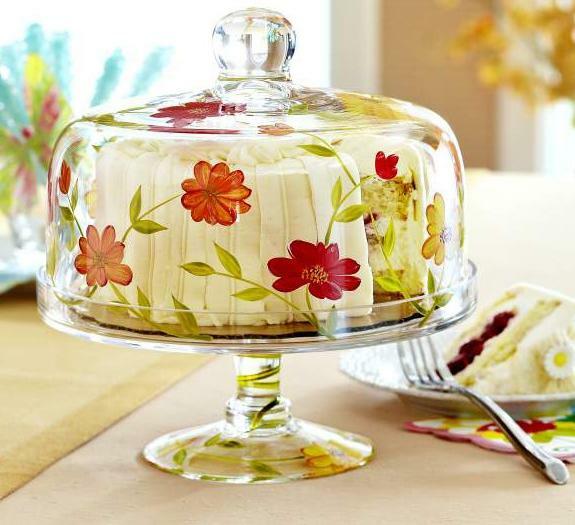 Also, it’s quite obvious that floral design can be used everywhere and for anything, be it for glass, bottle, plate, door or window. 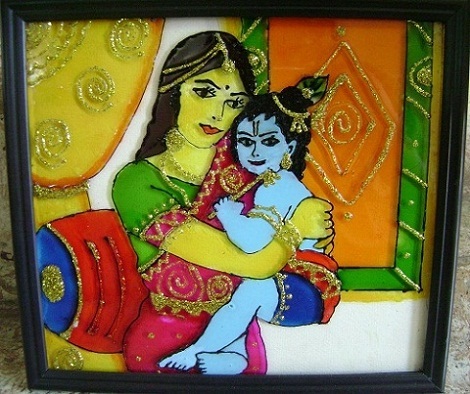 For home decor enthusiasts, glass art painting works best as well. See that above image of glass painting on a glass?It spices up the simple transparent object and turn it into something delicate and one-of-a-kind home ornament. On the side note, I love that color combination. 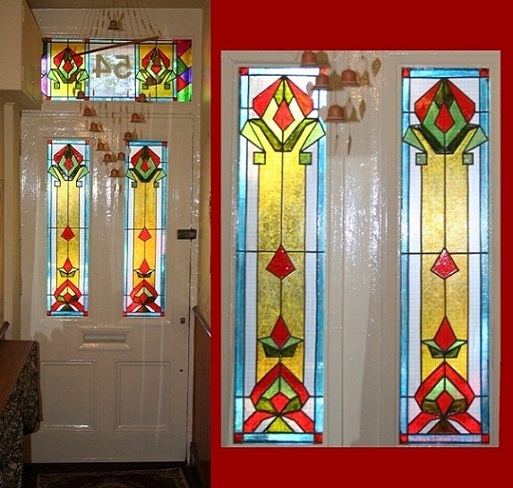 Same goes with the windows… Just as I mentioned earlier, glass painting works well with home decorating and improvements. 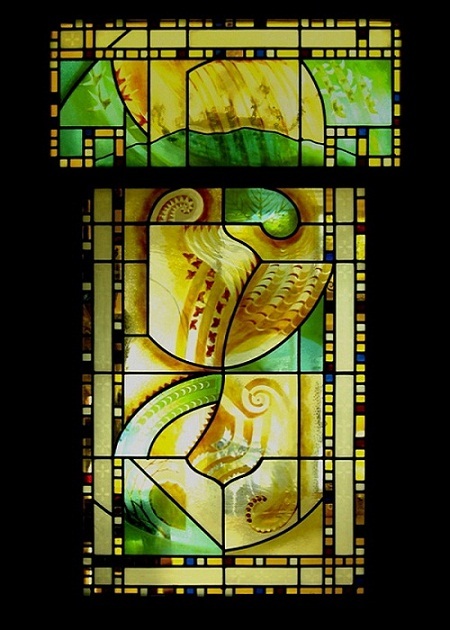 You can have a special window with the use of stained glass art. No need to be extravagant. Floral and abstract designs works best just like with the above photo. 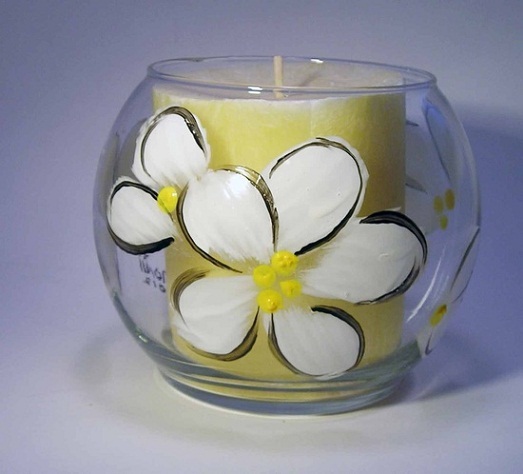 Not just with your everyday glass and windows, glass painting designs also fit for your glass candle holders. Just like with the above picture. 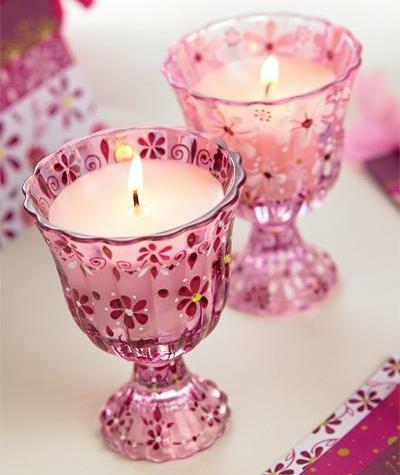 I love how the small image of a flower can bring great impact to the overall appearance of the candle holder, turning it to a simple yet stunning piece of art. Sunflower is one of my favorite flowers. I love its vibrant yellow and brown colors. That what makes it the best design for any art and painting. 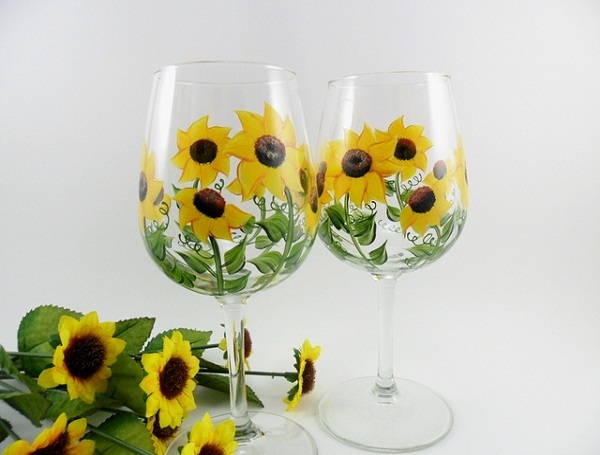 In above photo, the artist paint the image of sunflowers to a wine glass. It seems like he/she transferred the “soul” of the flowers from the real one to the wine glass. I simply love it! 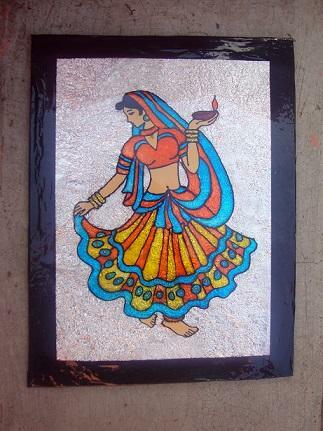 From simple home decor, glass painting can simply your hub for express of art. 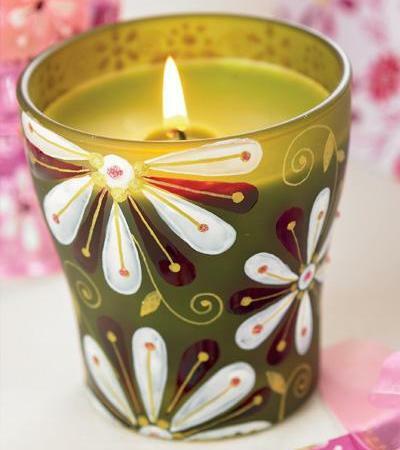 This piece of art looks marvelous and really stands out with its simple yet stunning floral design. This works best as wall hanging decor. Peacock is well-known for its beautiful and magnificent set of feathers, especially on its tail. So it’s not surprising that most artists will use the image of peacock as their main theme. Same goes with glass art. 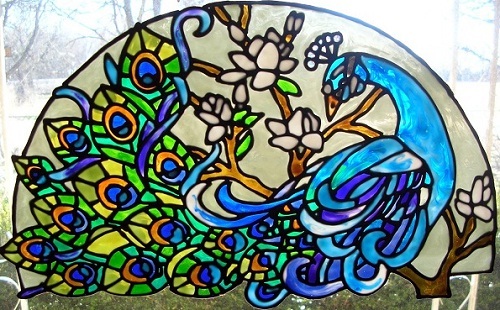 I’ve seen a lot of wonderfully painted peacock glass art online. 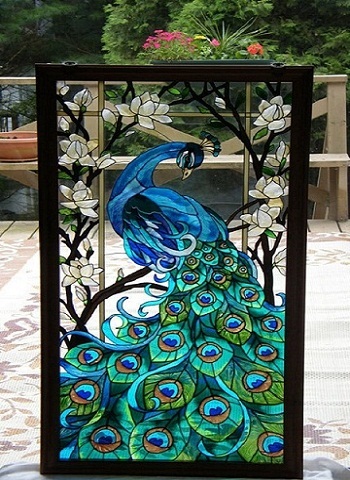 This peacock glass painting looks absolutely great. Framed with solid wood, black trimmings, this piece of art can make a great wall hanging ornament. The painting looks absolutely incredible, with the right combination of colors, depicting the elegance of the peacock. How about this one? I know this will capture your eyes, as much as I was captured by it. 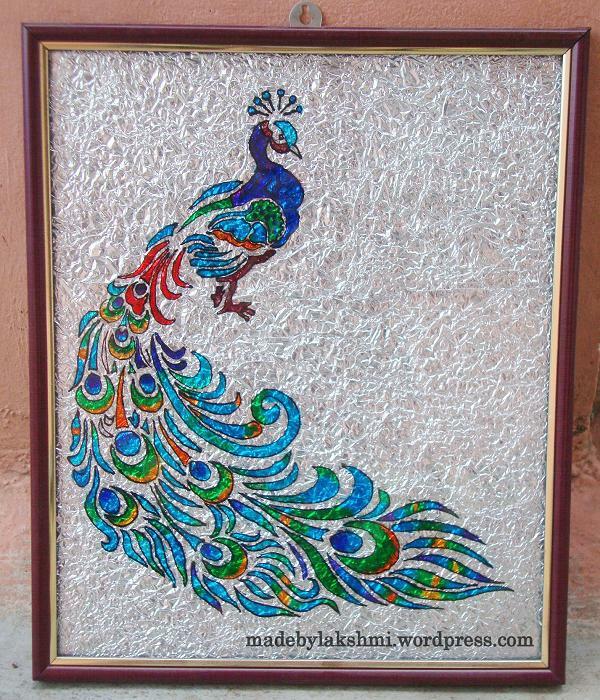 This stunning glass art painting with peacock design is absolutely amazing. I would really love to have one on my room, or in my small home-based office. What I really love in the design depicted by the above picture is that as if the peacock was real. It portrays the beauty and elegance of the peacock and successfully expressed it in a form of painting. Amazing! How about the more colorful side of the peacock? 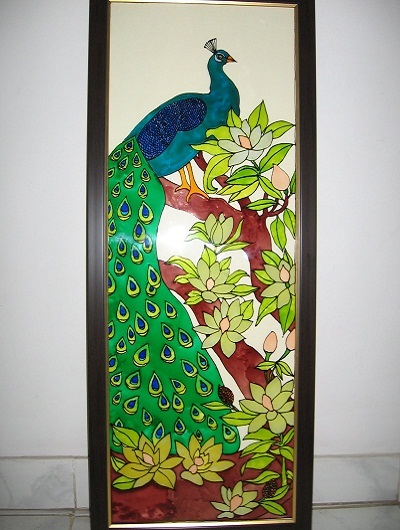 This stained glass peacock painting looks so adorable. The color combination is really cute. What I love to this design is its tail. It looks so colorful and vibrant. I wish I could paint something like that too. Soon! So peacock, just wait for me. I’ll just wait till creativity knocks on my door and nudge me to do some painting. Birds are another good subject when it comes to art. It can be included in other designs like flowers, nature and plants. 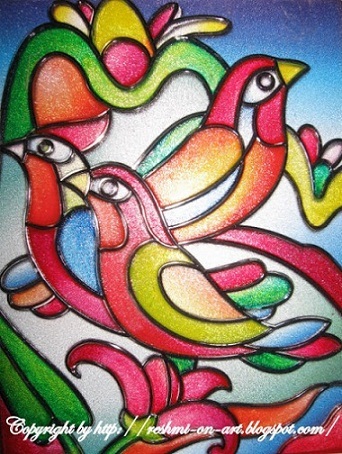 Take a look at these good samples of glass art featuring birds. To be honest, abstract paintings are attractive yet sometimes I don’t understand them. I heard somewhere that every painting speaks. Every painting expresses different meanings. But truly, well blame my non-so-artsy eye, sometimes I don’t understand what are they trying to portray. But I do love looking at abstract arts. Here are some of the abstract glass painting that capture my non-artsy eye. Indians are font of legends. They love their history, their culture. 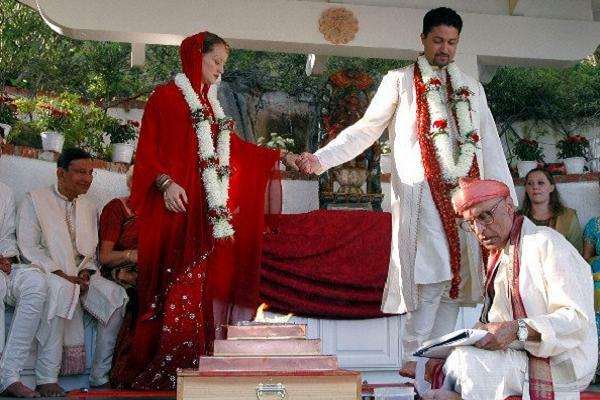 So they love the characters of their legends like Krishna, rama, sita etc. 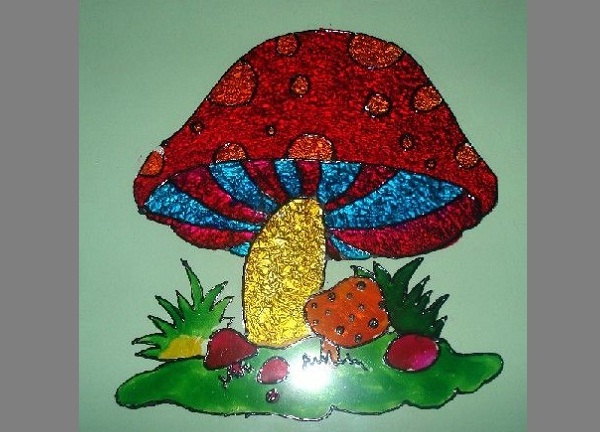 Lakshmi has written one article about glass painting, infact it is tutorial about how to do glass painting. So if you like the following image you can visit , so that you can also create one. 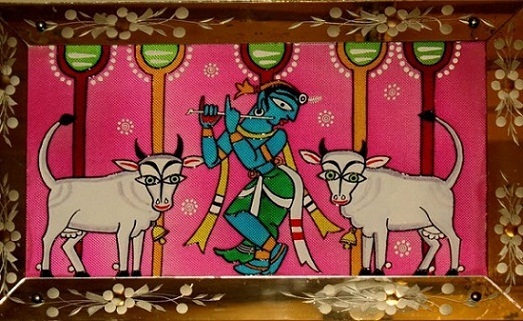 Krishna is one of the most popular and well-known deities of Hindus. 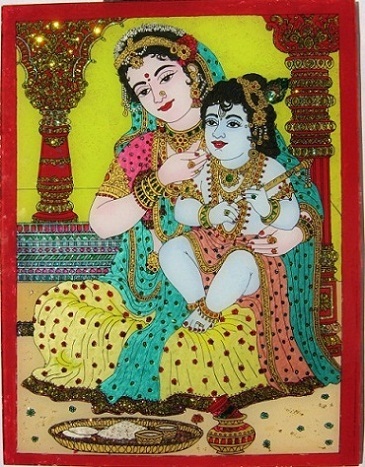 so, it is not surprising that many Indian artists, even those not Indian, create arts featuring Lord Krishna as their main subject. 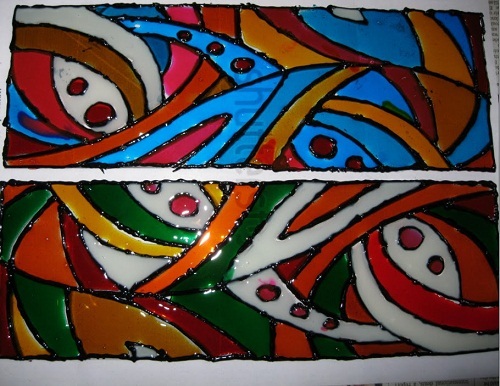 When it comes to glass painting, I thought that the easiest way to create art, and finish it, is to use simple patterns that involve few set of colors and designs. But look at these artworks! It’s really amazing to see an artwork as intricate as this, featuring Krishna and other deities. 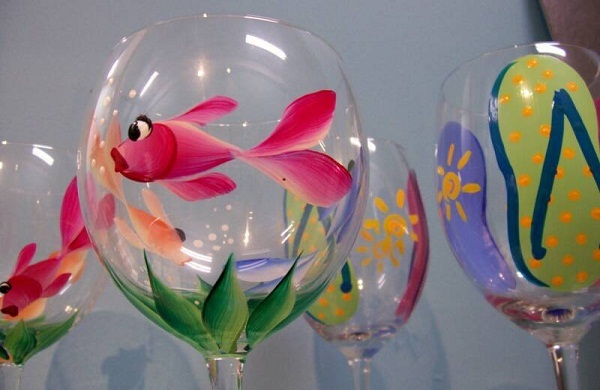 You have probably seen the first picture I used for this post is glass painting in a wine glass. Yes, I was captured with this stuff as soon as I saw those cute and elegant painting in a wine glass. I’d love to have something like this and brag them to my friends. 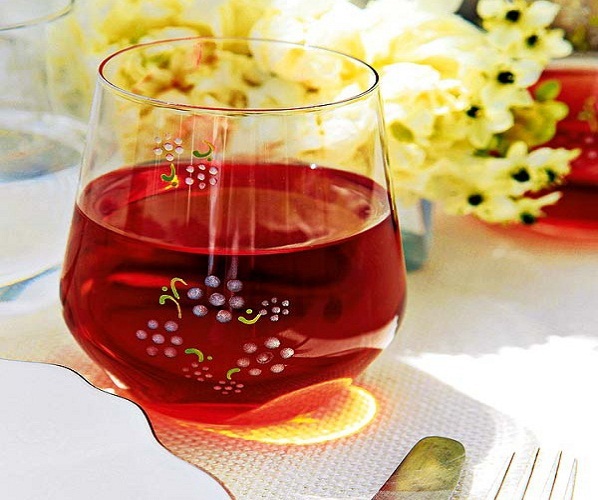 How wonderful is it to have a forest-like feel on your wine glass? 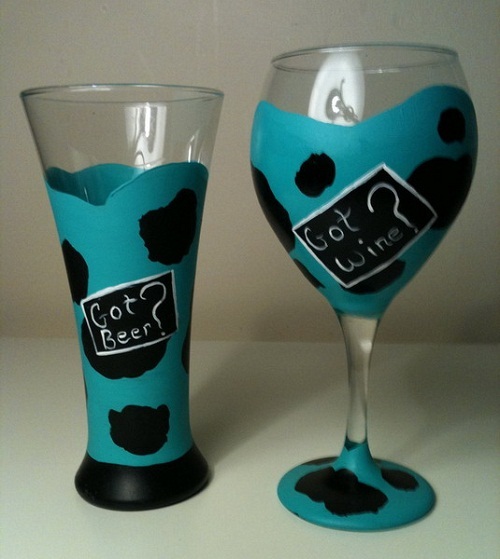 How about some patterns that will make your wine glass or beer mugs non-transparent? I love the combination of bluegreen and black patterns on above image. 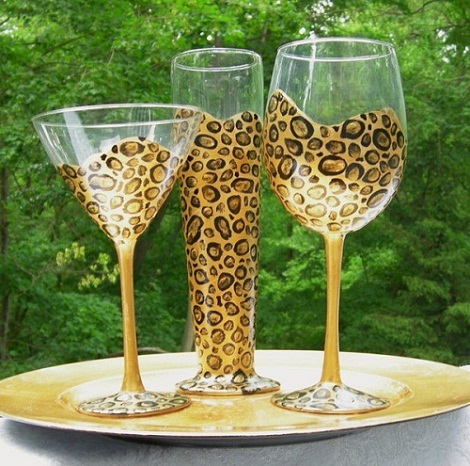 Animal prints also work best for wine glass painting. Just like in above image. 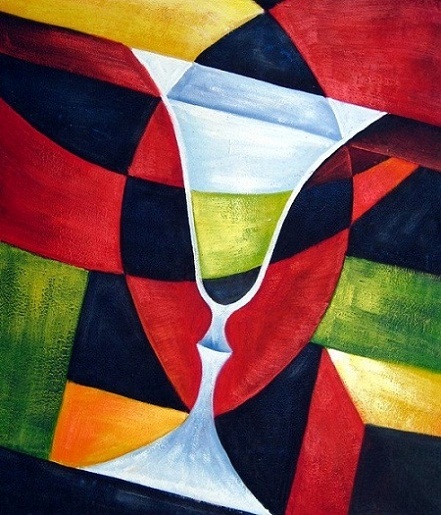 The artist use the pattern of a jaguar or tiger to their tall and wine glasses. It’s amazing! 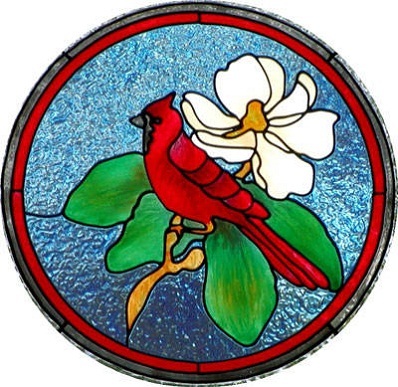 Glass painting is one of the specialized designs you can use for your windows. Imagine, you can have an art that everyone can see. Not just an art, it has some functionality too. Having a glass painting, with some abstract designs, can give you shade and light at the same time. For this image, see how it gives the light and the shade at the same time. It also creates the ambiance of elegance and warmth in a house. I love the chosen color, a hint of gold presented by warm yellow paint. Your door can be a hub for artwork as well. It can make your door stand out from the rest. Who wouldn’t want to have this unique and magnificent design on their door? I’m still browsing for more designs of glass painting so I’ll put some more images when I come across to ones that capture my interest. I am really hooked with this one. Who knows, I may be able to create one for myself in the future. Seeing these wonderful pieces of artwork, I’m really allured to try and start off with this. The thing is, I don’t have much time in my hand as of now. So the least that I can do is to appreciate them. And I would love to do it everyday! How about you? 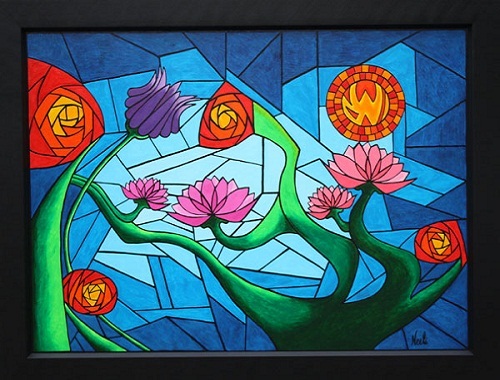 Do you have some glass painting artwork to share too? 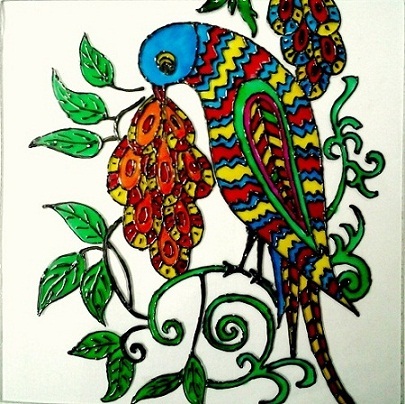 Don’t be shy, you can share here and I will be more than happy to feature your artwork here. It’s time for you to shine, so as your talent and skills. Do you have any feedback, comments or suggestions? Feel free to contact me or comment in our comment section below. I made sure that I’ll answer your queries and feedback as soon as possible. So everyone, happy blog hopping!